Ginger is also used as a cure for tinnitus. 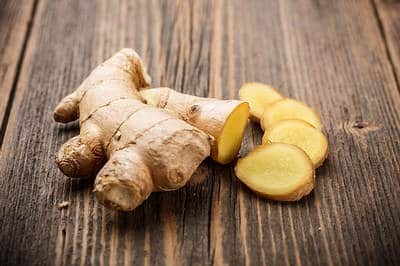 The medicinal and healing properties in ginger help improve blood circulation, get rid of pathogens, and fight free radicals. Plus, it has aspirin-like properties that can help reduce pain accompanying tinnitus. Add one-half teaspoon of freshly grated ginger to a cup of hot water. Allow it to steep for 10 minutes, strain it, and add a little honey. Drink this herbal tea two or three times a day for several days to ease tinnitus symptoms. Also, chew a few slices of raw ginger. The process of chewing helps relieve pressure in the ear that may be causing tinnitus. Mustard oil is another popular home remedy for tinnitus. Being a natural rubefacient, mustard oil helps increase circulation. Also, its antifungal and antibacterial properties help treat ear infections. Mustard oil also boosts the immune system to protect against further infections and helps remove the buildup of earwax. Slightly warm a little mustard oil in a microwave. Put a few drops of warm mustard oil directly into the affected ear. Allow the oil to sit for five to 10 minutes. Then tilt your head to the other side so that the oil drains out of the ear. Remove the softened earwax with the help of an ear bud. 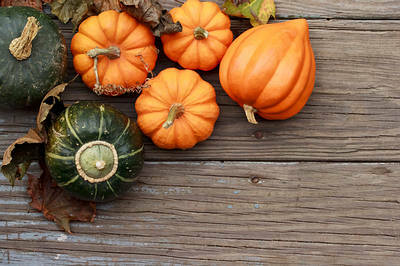 Eating foods like pumpkin that are rich in vitamin A can help get rid of tinnitus. It has been found that vitamin A deficiency is one of the leading causes of many ear problems, including tinnitus. Vitamin A is essential for the proper functioning of the cochlea, or inner ear, which is responsible for reception and transmission of sounds. Simply include pumpkin in your salad or soup, or have it steamed, grilled, stuffed, stir-fried, or in baked dishes. Adding pineapple to your diet can help reduce tinnitus. Pineapple helps lessen inflammation throughout the body due to the presence of an enzyme known as bromelain. 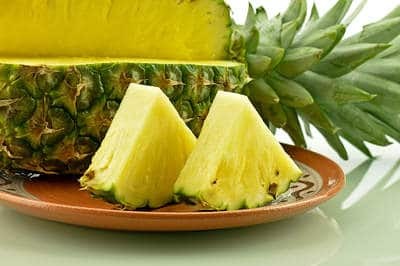 Plus, pineapple has various vitamins including vitamin A. Eat fresh pineapple at regular intervals throughout the day to reduce inflammation. You can also drink fresh pineapple juice. Practice relaxation techniques like meditation or yoga. Play music or white noise when you are trying to fall asleep. 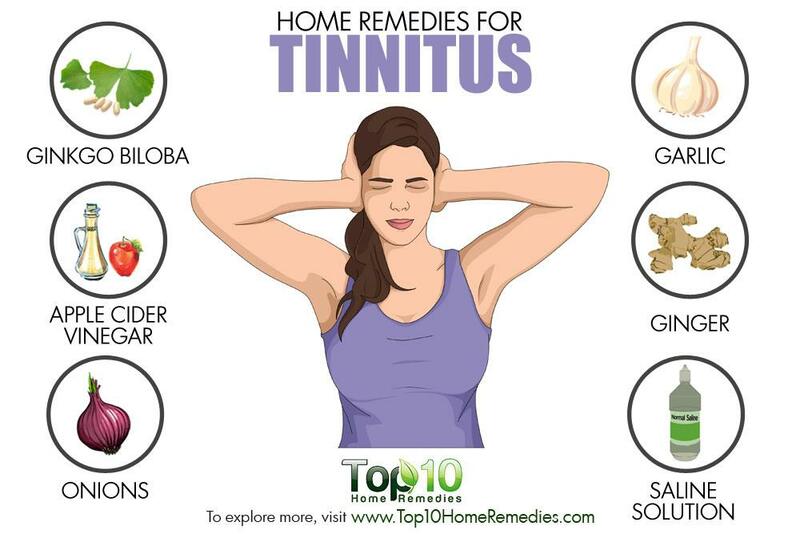 Follow these remedies and tips to treat tinnitus. However, visit your doctor immediately if you have numbness on one side of the face or body, vertigo, loss of balance, nausea or vomiting. My mom was diagnosed years ago with Menieres. It affects the inner ear and causes an imbalance of the fluid inside. So the person has periods or attacks of nausea and dizziness. She would spend many hours just laying down and unable to function. The syndrome also causes tinnitus. At the time my mom was using un-iodized salt. She read somewhere about the lack of iodine may be causing her problems. So she switched to iodized salt. And within that year she had lost all of her symptoms. Including the tinnitus. She never sweared by the “miracle” but she said she would never discount it. Could have been a coincidence but till the day she passed away (nearly 40 yrs) she never had another bout with Menieres. And continued with iodized salt. How did your mom used the iodized salt? I’m interested to know. I have the same problem, about more than a year now. Not comfortable. make some in a cup like about 2 table spoons in 5 ounces of iodized salt heat put in a sprayer like you put nasal spray in your nose pump it until it run down your throat them hike it up let stay in abut a minute then blow your nose real good it might burn so but want hurt use about twice a day that should help that is how I am doing it. OMG IVE JUST HAPPENED UPON THIS SITE. IM GOING TO TRY THIS SALT WHERE CAN IT BE BOUGHT. IM SUFFERING WITH MENIERE’S FOR 4 YEARS AND TINNITUS. Oh wow I’m 54 a few months back I was told that I had Diabetes I had never gone to this Dr. before I didn’t she was going to send for lab work early that morning I had some coffee when to lab work was done the nurse said the test will come out wrong but your Dr. still wants the lab work done so be aware the test will not be correct when the Dr. got the results she calls to tell me I a Diabete and order me some meds I got real sick I call her and told her then orders another type of med it got more super sick sharp pain to belly then real dizzy I call again and her I thought I wasn’t a Diabete I had no symptoms she reply and said um…OK then I’m going order you some insulin when I told I’m not your Ginni pig I refuse to use it I told my family needs I have a disable child that needs me I said I can’t have mess with my life like that then she reply you don’t take the insulin you need to look for another Dr but I feel sick I’m getting dizzy spells I need you to see what’s wrong I told but she refuse to since then I’m feeling sick off balance and ringing sounds in my ears plus the dizzy spells and no Dr to see its been 7 months I’m scared and nervous I’m not good in getting bad news and I refuse to take meds of what happened any fruit or vegetable that will I might try that but no MEDS ! . I am diabetic and I heard about Bitter Melon. I started taking 2 – 500 mg capsules every night and have been able to discontinue one of the insulins I was taking. I find it an amazing herbal supplement. Drink 3 cups of green tea per day. Have one cup in the morning with 4/6 tablespoons Milled Flaxseeds. Brew your tea in a teapot, let it simmer for at least an hour, then cool. Avoid all sugar and sugar products. I would like to know how did your mom used the iodized salt? could you let me know? I have been suffering with the same problem for years , Thank you. Instead of using Sea Salt in cooking your food, use Iodized salt. Wonderful tip, I will be sharing this info with my brother, who has been having alot of problems with the ringing in his ears.. just hope he does it!! Very nice written post. 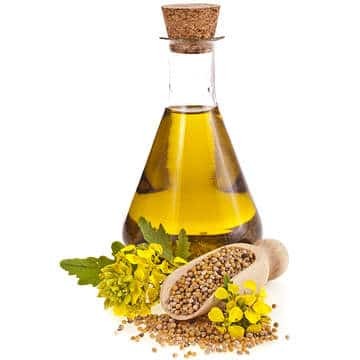 Your blog is very beneficial for every reader .Your blog provides excellent tips about mustard oil. Keep doing the great work so that people can learn some nice and new things. I would love to read more posts on your site. Am Almost an addict of your blog site for every health challenge your site is usually my first point of call.kudos to you. Thank you for sharing this info. I love this web site! I just started getting ringing in my left ear tonight and it’s getting louder. I also have sinus infection right now. I want to try the onion juice but I don’t have a microwave, can I boil it or something instead? Thank you. What is Ginkgo Biloba called in Hindi please? Please explain more about your yoga Sirsana , from A-Z. I have same symptom . I’ve been battling tennitius for years, I think the gentleman speaking about iodine is correct or at least on to something. I take a liquid iodine from cr supplements and it does seem to help with the constant ringing. great info. thanks…..this ringing in my ears is getting louder every year so will try one remedy as a time,,,,salt solution …going to try that one. Tinnitus and Sinusitis are linked….. if you have Sinusitis you have surely will have many problems along with Tinitis. weak spinal cord, cervical and weak immune system. Treat your Sinusitis and get relieved! 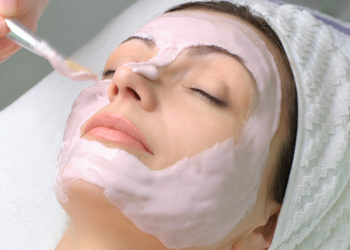 Natural remedies are helping to increase the body health without any side effects also with holistic cure. I have high blood pressure, so i cant have sodium. Does anyone know how i can get iodine without eating salt? Comment: I’m very glad to get this info from your website! I’ve suffered from tinnitus for four months now especially on my left ear! I seeked for medication from ENT but no improvement at all! I’m going to try out the first remedy. He did many laboratory tests of left and right left ear. I was hoping the doctor give me pharmacy medicine. To my surprise he prescribed one simple herbal one: Gingko biloba. I then asked my doctor: ” Is this all Doctor?.. And his answer was: ” There is poor blood circulation in your ears…we need to improve it” So it was done. and they ringing of the ear disappeared in three month time. and the doctor add further: ” Gingko also delay the graying of your hair” and its true, I’m now 79 years old and my hair looks as if I am at 50 years young ..All my brothers who did not took Gingko biloba have all white and grey hair altogether. I am also suffering from tinittus since last 3 months. Let me know proper tips for curing. Don’t give up hope. Pray and believe it will get better and it will somehow! What spices of onion should I use: White, Yellow or Purple? The truth is that the most common cause of tinitus is Radio-Wave Stimulation (Saturation!) of the Auditory-Nerve and the Cochlear! Reduce your exposure to Mobile-Phone/Wireless technology; your body’s tissues gradually charge-up like a Capacitor on a Circuit-Board the more your exposed to Electro-Magnetic Radiation!! Thus it takes time for your body to release that charge naturally. Try moving away from all those phone-towers. Also the second most likely cause of the varying ping’s and pang’s and tick’s etc. that you may be hearing, as well as the various changing tones, believe it or not is Ultra-Sonic Devices, like those used to repel bugs, or those used in vehicle-bumpers to detect hazards! Given enough time, or distance, ultra-sonic waves slow down and become barely audible, thus the symptoms! There is another cause of tinitus, and its usually associated with someone whose always been rather Athletic, and that is contamination of the blood with high levels of metals and oxides, to the point where the development of tiny capillaries around the ear canal and the inner ear result in you actually hearing the thrashing around of the metals, almost like minature ball barrings! Try not to drink from copper pipe’d tap’s, drink spring water instead. After reading this I realized I had changed my salt from iodine to himilayian salt without iodine. Just did it about three months ago. Guess what I am switching back now. I’ve heard that unless at the apple cider vinegar is unrefined, unpasteurized and unfiltered with a “mother” colony of beneficial bacteria that it has no beneficial effect. Is this true?